JANICE BOLAND, ONE of the bereaved mothers at the centre of the investigation into the deaths of five babies at Midland Regional Hospital in Portlaoise, has spoken of the pain she and her husband suffered over the death of their first baby girl, Caitlin. In an extremely emotional interview with Shane Beatty on KFM’s Kildare Today programme, Boland spoke both of the inept care she received at the maternity hospital in 2006, and of the unfeeling treatment she and her husband received subsequent to their daughter’s death. Little Caitlin suffered from several foetal abnormalities that meant she would be incompatible with life outside the womb, but her mother was none the wiser about this until after Caitlin was delivered by emergency caesarean section. “There was a catalogue of errors at different levels, and it just compounded our pain again and again,” she said. It’s been following us around for nine years, and has left a permanent legacy on our lives. Boland, from Sallins, Co Kildare, said the recently-published HIQA (Health Information and Quality Authority) report into the goings-on in Portlaoise had “rehashed the original psychological trauma” for her, but that it “couldn’t be truer of what we experienced in Portlaoise”. Boland had suspected that something might be wrong with her pregnancy and had in fact paid for additional scans at Portlaoise. Every time she was told all was well and that her baby was healthy. “When I found out differently the pain was humungous,” said Boland. You’re dealing with the loss of your dream. In that hospital Caitlin was just another number, for us she was our world. After Caitlin’s death, Janice and her husband John were forced to wander around the hospital grounds looking for the morgue with no-one to guide them. She described the scene at the morgue when they finally found it as being like “something from a Frankenstein novel”. I was expecting a room with white sheets, candles, or something like that. What we got instead was a dissection morgue, with hoses and gutters and silver trays. Boland was also the mother involved in the now-notorious ‘tin box’ incident – when she asked to see her baby’s body it was brought to her in a tin box on a wheelchair, covered by a sheet. When she asked why a nurse told her it was to spare the other mothers the sight of her baby. I explained that I hadn’t seen my baby and got very upset. Then I was told to stop crying. It was all very tough, very archaic, and it just made you feel like you didn’t matter, that the only place for your baby was in the fridge. It was only a year later when I experienced The Coombe (in Dublin) hospital that I realised that that isn’t how things are supposed to be, the treatment there was like being on a different planet. The Boland’s series of horrifying experiences was compounded in 2008 when the hospital informed them that some of Caitlin’s remains were still at the hospital and needed to be collected. I was called up in my workplace, it was extremely traumatic. And then me and John had to get Fr Tom McDonald, God rest him, to come with us, and then we had to bury her for a second time. Janice says she greatly approves of the recommendations made in HIQA’s report. “They’re such hugely positive changes,” she says. Even that there’s going to be a separate trauma room away from where bereaved Mums can hear babies crying. Knowing your own baby will be forever silent, it’s just the absolute hardest of things. Boland and her husband, who have gone on to have two more children, are to meet with health minister Leo Varadkar tomorrow along with the other Portlaoise families. She describes herself as “very satisfied” with how Varadkar has responded to the HIQA report being published. He has acted decisively. There’s been no ping-ponging back and forth, no legal injunction, and that has lessened the distress of those affected. Email “"Like something from a Frankenstein novel" - bereaved mother describes Portlaoise Hospital's morgue”. 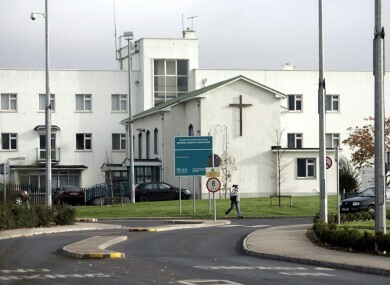 Feedback on “"Like something from a Frankenstein novel" - bereaved mother describes Portlaoise Hospital's morgue”.